Colts wide receiver Chester Rogers has signed his second-round restricted free agent tender, the club announced today. Safety Matthias Farley inked his original round RFA tender, while wide receiver Marcus Johnson signed his exclusive rights free agent tender. Rogers earned only $695K in 2018, but he’ll now see a pay bump to $3.095MM for the upcoming season. An undrafted free agent in 2016, Rogers’ playing time has hovered between 45% and 65% during his three years in the NFL, but his production has increased year-over-year. 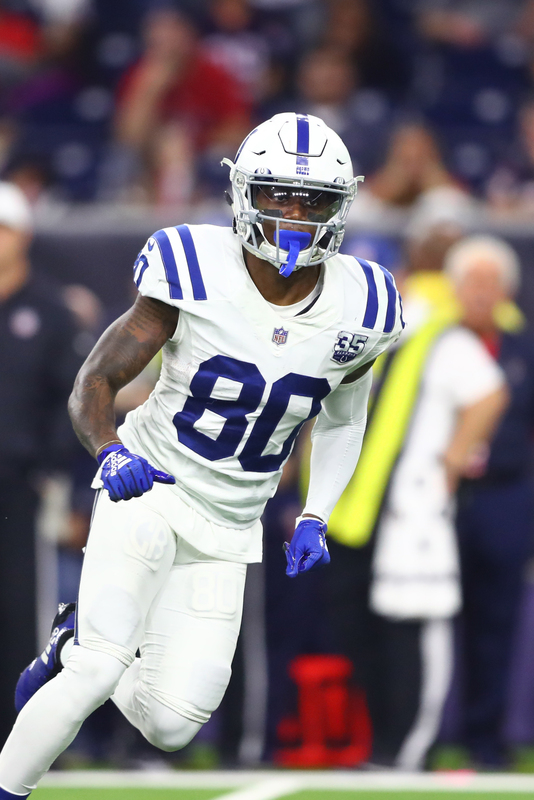 In 2018, Rogers set career-highs with 53 receptions for 485 yards and two scores; his catch and yardage totals ranked second among Colts wideouts. Any other club could have signed Rogers to an offer sheet, but they would have been forced to hand over a second-round pick to the Colts in order to land him. While Rogers is a solid complementary offensive piece, he’s probably not worth a second-round selection. 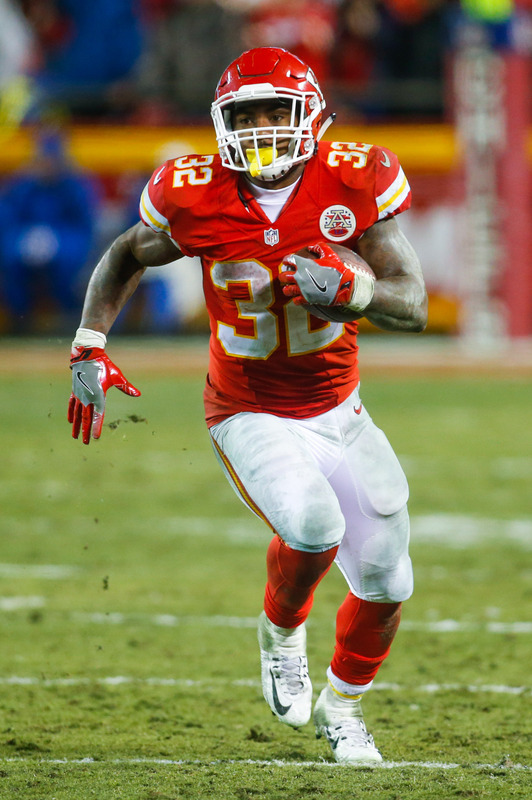 The Colts hosted free agent running back Spencer Ware, as Aaron Wilson of the Houston Chronicle tweets. Indianapolis has a young and talented RB tandem, with Marlon Mack and 2018 fourth-rounder Nyheim Hines — an excellent receiver out of the backfield — at the top of the depth chart. Jordan Wilkins, another 2018 draft choice, averaged 5.6 yards per carry on 60 totes in his rookie campaign, so the Colts do not really need to add a free agent back. But Ware would provide a solid veteran presence in the rotation if the clubs elects to carry four RBs, and he could theoretically push Wilkins for playing time while serving as insurance should one of the top backs get hurt. Ware first made noise in 2015 when he ran for 403 yards with the Chiefs and averaged 5.6 yards per carry in a limited sample. In 2016, he was the Chiefs’ starter and amassed 921 yards with a 4.3 yards-per-tote average. His usage fluctuated over the course of three healthy years in KC, but the 27-year-old’s career 4.7 YPC shows promise. He appeared to be primed for stardom after that ’16 season, but a torn PCL cost him the 2017 campaign. Last year, he had an opportunity to shine again after Kareem Hunt was cut, but a hamstring injury took him out of the running for the final stretch. He returned for the AFC title game, but didn’t have a major role in the loss to the Pats. Ware visited the Lions last month. The Jets also parted with extensive draft capital in 2018, in order to land Sam Darnold. As a result, they continue to be mentioned as a team ready to trade down. Gang Green “badly” wants to trade out of the No. 3 slot, Breer notes. The Jets surrendered what became the No. 34 overall pick to the Colts last year, and the Mike Maccagnan-led front office wants to collect a second-round pick via trade. Michigan linebacker Devin Bush is meeting with the Giants tonight, and the visit will last until Monday, as Adam Schefter of ESPN.com tweets. New York, armed with the Nos. 6 and 17 overall picks, will be one of the most interesting clubs to watch in the draft given the uncertainty surrounding its QB position. Despite that uncertainty, Big Blue could very well use both first-round selections on defensive playmakers, and Bush, one of the best LBs in the draft, would be a good fit with the 17th-overall selection. The Eagles have three picks in the first two rounds of the draft, and Eliot Shorr-Parks of 94WIP.com expects the club to be very aggressive in trying to trade up. That will be especially true if Houston defensive tackle Ed Oliver starts to fall, as Shorr-Parks believes Philadelphia will want to move up the draft board to land him. The team either has hosted, or will host, Oliver on an official visit. The Raiders recently met with Oliver and Penn State offensive lineman Connor McGovern, per Ian Rapoport of NFL.com (via Twitter). Rapoport adds that the Colts have met with Michigan defensive end Rashan Gary. After losing out on Odell Beckham Jr., the 49ers still have a major need at the WR position. Matt Maiocco of NBC Sports Bay Area believes there is a good chance the club uses its No. 36 overall pick on a wideout, and he names A.J. Brown and Deebo Samuel as legitimate possibilities. San Francisco either has hosted, or will host, both players. We learned several weeks ago that Ohio State quarterback Dwayne Haskins would meet with five teams, including the Broncos and Redskins, and Rapoport tweets that those visits will take place this week. Denver and Washington are among the clubs doing their homework on all of this year’s top passers. The Bengals are reportedly considering using their No. 11 overall pick on a QB, and while Katherine Terrell of ESPN.com believes it is unlikely Cincinnati goes that route, she concedes it is a definite possibility (Twitter link). The Colts re-signed tackle J’Marcus Webb, according to a club announcement. Details on the deal are not yet known. Webb hooked on with the Colts in July of last year after a rash of injuries decimated their offensive line. Webb wound up as the club’s Week 1 starter, but a hamstring injury suffered in that game brought his season to an early end. 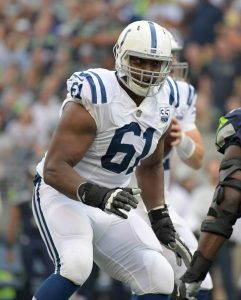 Despite injuries to Webb, Denzelle Good, Anthony Castonzo, and others, the Colts’ offensive line turned in a brilliant season. The Colts allowed just 18 sacks in 2018, the fewest in the league. They also had an impressive streak of allowing zero sacks on Andrew Luck 239 consecutive snaps, spanning across five games. Webb, 31 in August, has 65 career starts to his credit between stops with the Bears, Vikings, Raiders, Seahawks, and Colts. The Colts have claimed Derrick Kindred off waivers, according to NFL.com’s Ian Rapoport (on Twitter). The safety was let go by the Browns on Monday, and the Colts pounced on the opportunity to add him and his inexpensive contract. Kindred, 25, is set to make a little more than $2MM in 2019. At that price, he’s a relative bargain for a club that has been largely reluctant to part with its ample cap space this offseason. 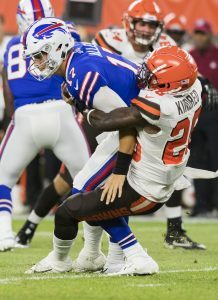 Since entering the league as a 2016 fourth-round pick, Kindred has appeared in 42 games for Cleveland. Last year, he had a perfect attendance record and registered 45 tackles, one interception, and a forced fumble. The Browns’ decision to release him leaves the club with a hole at strong safety that it could look to fill via the draft. The Colts, meanwhile, add a youthful and reasonably talented DB who will provide useful depth for the recently re-signed Clayton Geathers, who has a troublesome injury history. Kindred can also contribute on special teams. Toledo cornerback Ka’dar Hollman also had a private workout with the Texans, reports Wilson. The defensive back has also had visits and workouts with the Dolphins, Saints, Bears, Colts, Eagles, Lions and Browns. While Hollman has boosted his draft stock following a strong Pro Day, he’s still at best a sixth- or seventh-rounder.